Written by Alisa Lombard and Aubrey Charette. Published by CBC News on July 11, 2018. "Specific claims" is a simple phrase that describes a hugely important issue: the body of outstanding violations against First Nations, accumulated through colonial and post-colonial mistreatment and negligence. These violations, allegedly committed by the federal government, generally concern treaty obligations, reserve lands or the administration of Indigenous property. These historical grievances plague the present, and unless these claims can be resolved, we will never achieve the national project of reconciliation. In an opinion piece published last month in the Globe and Mail, Fraser Institute senior fellow and University of Calgary professor emeritus Tom Flanagan made the case for winding down the specific claims resolution process. He cited the fact that there are more specific claims than once anticipated, and that the payment of compensation for their resolution isn't improving social welfare outcomes. He called the specific claims process a "perpetual motion machine." Here's the problem with Flanagan's line of argument: first off, specific claims are not about social welfare. Rather, their primary goal is justice. Payments to First Nations are not charity. Specific claims (full disclosure: we both worked as legal counsel for the Specific Claims Tribunal until 2016) refer to breaches of vital promises, of treaties, of reserve land, of protection of lands and resources. They are wrongs related to commitments that were fundamental to the development of this country and to the experience of Indigenous people within it. Treaties allowed this country to be settled by newcomers without war, but the inadequate implementation of those commitments left the Indigenous signatories destitute and dependent. Reserves were supposed to provide a new way of life for Indigenous peoples, and when they were not set apart as promised, taken back or cut up without authority, Indigenous people suffered. Indigenous peoples felt – and were – betrayed, and that betrayal lives on in many communities. Injustices from long ago live on today. Here's just one example: In 1885, the Beardy's and Okemasis band were accused of complicity in the Northwest Rebellion. The chief and headmen were stripped of their status and every single member of the band was denied his or her treaty annuities. Band members starved and froze to death. The band has maintained its innocence for the past 130 years. To this day, elders speak of the grave injustice done to the community. In 2015, the Specific Claims Tribunal validated this contention with a ruling in their favour, and in doing so, brought a measure of reconciliation for this small community, as well as to more than 15 other bands labelled "disloyal" in the aftermath of the Northwest Rebellion. This is the importance of the specific claims process, a process that Flanagan diminishes and mischaracterizes. The bottom line here is that legal obligations have been breached or unfulfilled, and these failings must be remedied. Flanagan cites the fact that "there is little or no evidence that these payments are making First Nations better off" as a reason for scrapping the process — but in our legal system, do we measure the worthiness of other plaintiffs by the impact compensation will have on their social or economic status? No, of course not. Why, then, must Indigenous peoples meet this paternalistic benchmark? Flanagan also suggested that the process of remedying specific claims is akin to applying today's laws to yesterday's crimes. This is a misleading characterization. For centuries, colonial and Canadian officials have failed to follow through on their expressed promises and sometimes even their own rules. They broke their own laws. 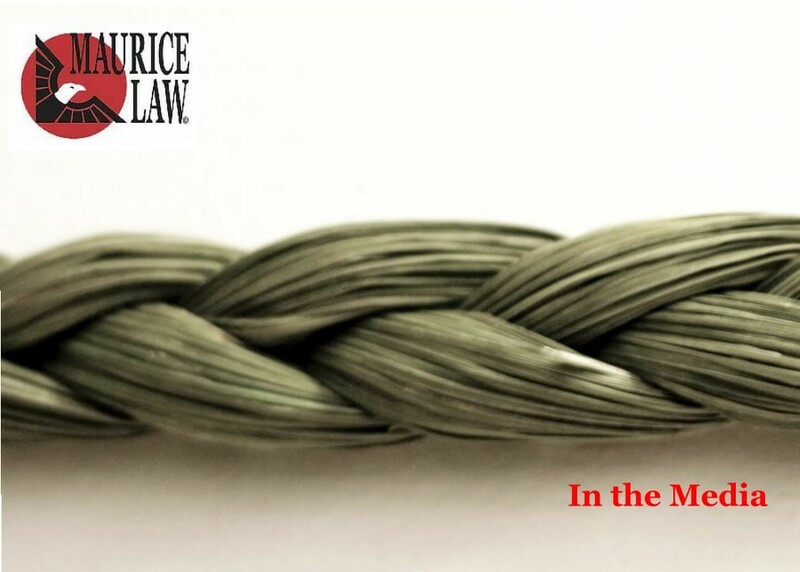 The option for a remedy – in the resolution of specific claims – is modern, but the applicable law is not. We need to move forward. To do so, these communities and Canada as a whole need to reckon with and address these claims. Principles of restoration play a strong role in Indigenous justice systems, and must be taken seriously if Canada is authentic about being a pluralistic – and reconciliatory – society. This all takes time. We now have a system in place that is working. The Specific Claims Tribunal, created in 2008, is an impartial body presided over by superior court judges that has final and binding authority to adjudicate claims. For the first time, First Nations have a shot at impartial justice. So it is not surprising that more First Nations have filed claims over the last several years. This process is exactly one decade old, a fraction of time compared to the literal centuries of mistreatment, disregard and negligence during which specific claims accumulated. It is finally delivering a measure of fairness and resolution. Over time, we will all see the benefits – in restoration, in the diffusion of hostility and in a more hopeful future. Be patient, Mr. Flanagan: Indigenous peoples certainly have been. See original published article by visiting CBC or clicking this link https://www.cbc.ca/news/opinion/specific-claims-1.4736749.